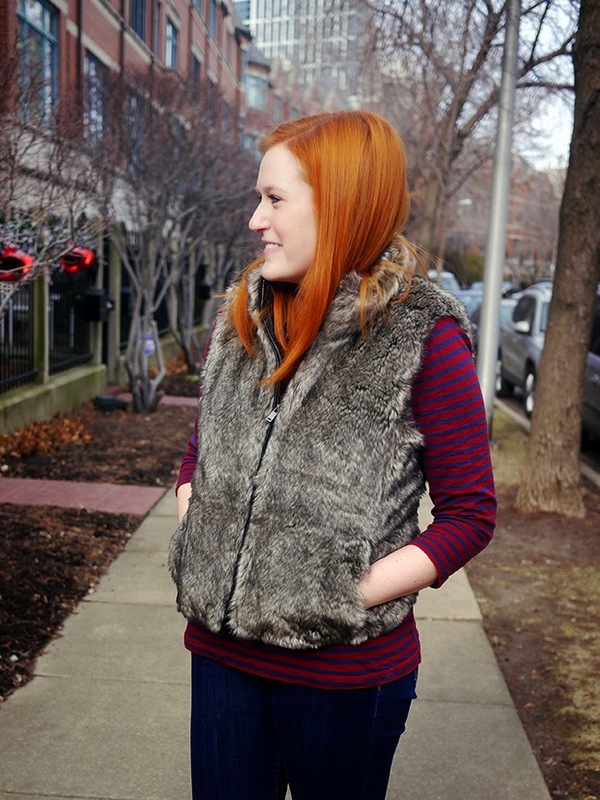 The faux fur vest has been a trend for a couple of years now, and until really recently I hated them. I tend to be against a lot of trends initially and then they start to grow on me. All the sudden fur vests started looking really luxe instead of tacky, and I realized they were the perfect way to stay super cozy all winter. I love how expensive this one feels, and how it works with a tee shirt and jeans or can be really dressed up. While this vest is currently sold out online, I did spy a couple in stores last week so you may still be able to snag one. Are you on board with the faux fur trend? 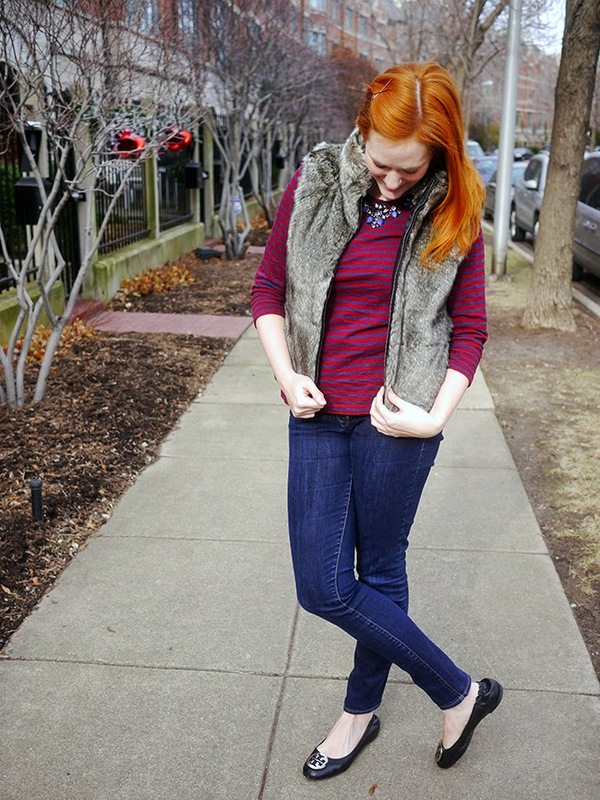 Linking up with Random Wednesday, Style Me Wednesday and Style Sessions. I'm down for the faux fur now- but it took me a bit to get on board. 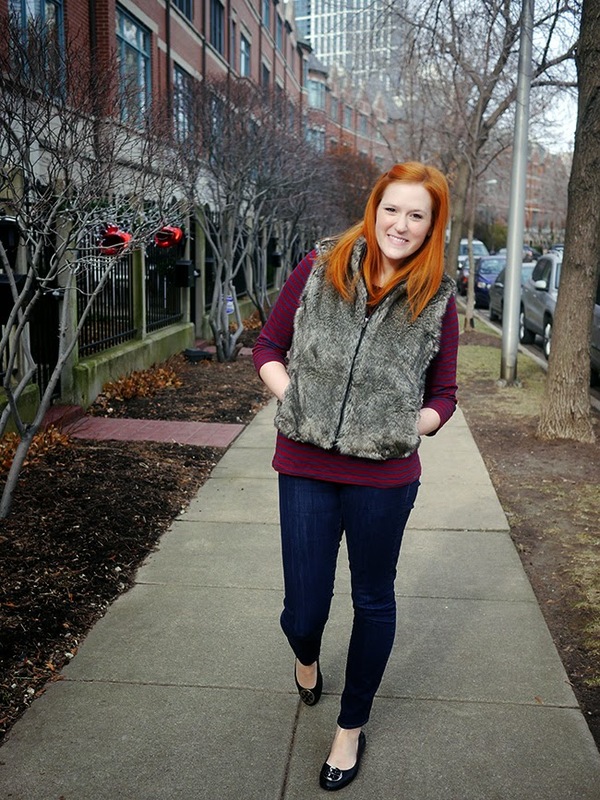 I needed to find a fur vest that wasn't too bulky (finally snagged one, and now I basically live in it). I love yours! Cozy without being too over-sized. Great look, babe! It took me a while to like faux fur too. I absolutely love this one!! It's perfect on you.